Composed of six coral reefs, two inhabited islands and many rocky islands, the Turks & Caicos Islands are a small paradise still preserved in the heart of the Caribbean. With more than 300 kilometres of white sandy beaches, turquoise water, unique seabed and exceptional climate, this little piece of paradise will take you on a wonderful journey. 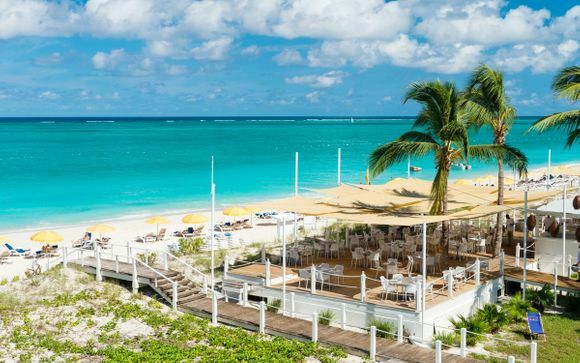 The Alexandra Resort is a beachfront hotel in Providenciales, located on the sublime white sands of Grace Bay Beach. 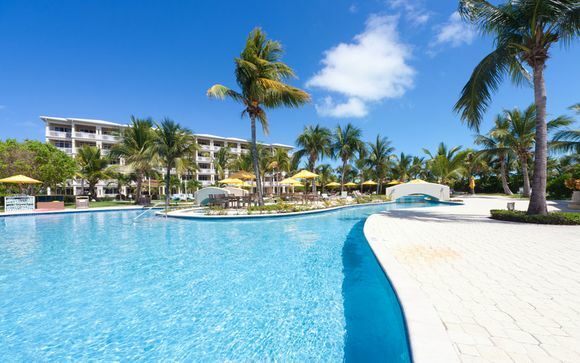 The 4-star hotel is bordered by an enchanting barrier reef system, overlooking the crystal waters of the Atlantic Ocean. 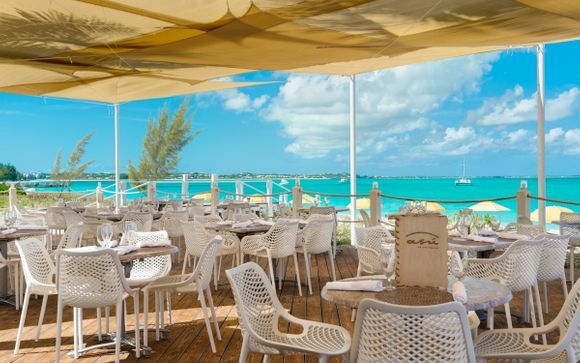 The marina is 10 minutes away and Providenciales International Airport is a 15-minute drive away. Guest rooms at The Alexandra Resort have private terraces or balconies with spellbinding ocean or garden views. - Studio Garden View Queen or King (40 m² / max 2 persons): With their soothing view on the green gardens, these have all the facilities you need from the equipped kitchenette to the furnished balcony. - Studio Ocean View Queen or King (40 m² / max 2 persons): These studios are equipped with the same facilities as the previous ones, plus a stunning sea view. - Studio or Deluxe Studio Beachfront (50 m² / max 2 persons): Ideally located on the beachfront, these studios are the perfect peaceful escape. - One-Bedroom Garden View King Suite (92 m² / max 4 persons): This suite features a lounge and balcony with garden views. - One-Bedroom Ocean View Queen or King Suite (92 m² / max 4 persons): Enjoy escape in these fully-equipped suites with living room, kitchen and balcony. - One-Bedroom Beachfront Suite or Deluxe Suite (130 or 131 m² / max 4 persons): Equipped with the same features as the previous suites, they also boast privileged access to the beach. - Two-Bedroom Ocean View Queen or King Suite (140 m² / max 6 persons): Enjoy these spacious and comfortable 140m² thoughtfully designed suites facing the turquoise blue of the ocean. - Two-Bedroom Beachfront King Suite or Deluxe Suite (178 m² / max 6 persons): Located directly on the seafront, these suites can accommodate the whole family. - Four-Bedroom Penthouse (343 m² / max 10 persons including 8 adults): Treat yourself to an exceptional escape in the most spacious and luxurious suite in the property. The hotel restaurant serves a fusion of Caribbean cuisine, international dishes and French fare. Guests can dine indoors or on the pristine sands of Grace Bay Beach. Enjoy a 10% discount on food and beverages (see conditions on site). Visit the pool bar for a refreshing drink or head to the nearby Resorts. The hotel spa invites guests to indulge in luxurious treatments, such as Vitamin C-infused facials or hot stone massages. Residents can relax on the sun-kissed beach, then plunge into the hotel’s freeform swimming pool. The personal concierge can arrange activities for visitors, including scuba diving trips, catamaran cruises and horseback rides on the beach. The tennis courts and gym are available to those more active. Enjoy a 10% discount at the Spa (see conditions on site). 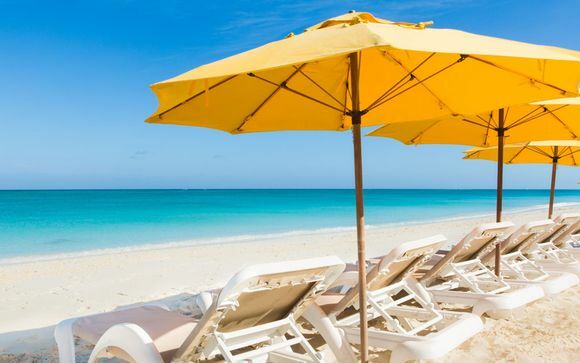 - Providenciales International Airport is about 15 minutes away.